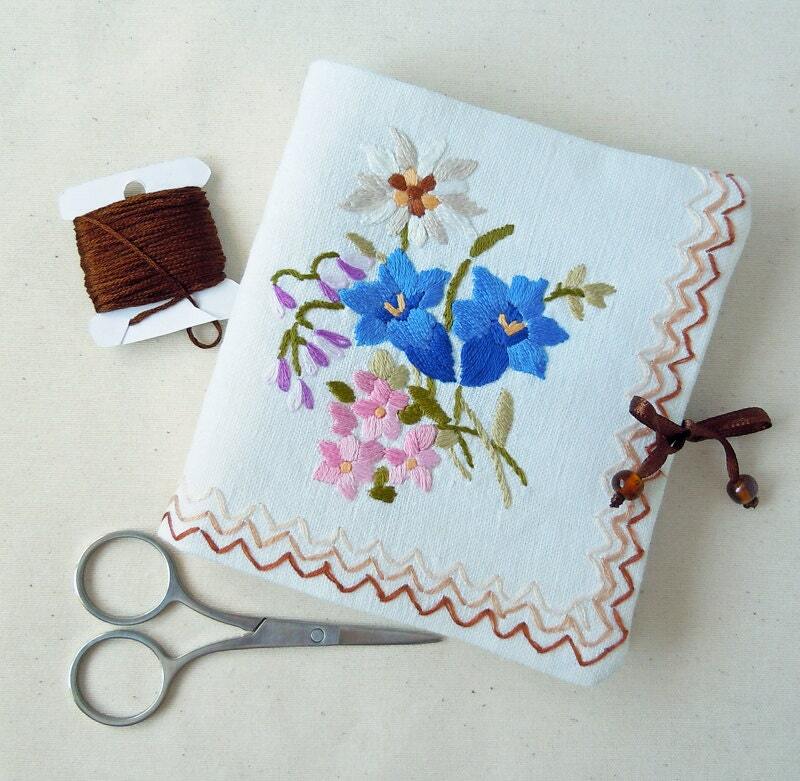 A delightful handmade needle book made from a vintage embroidered tea tray cloth. A generously sized book to hold your needles and pins measuring approx. 11 x 12cm (4.25 x 4.75"). The book contains four off white felt leaves securely machine stitched in place. The cover is of white linen and is slightly padded. It features the original embroidery of flowers and the back cover has a small motif of pink flowers. It closes with a brown satin beaded tie.